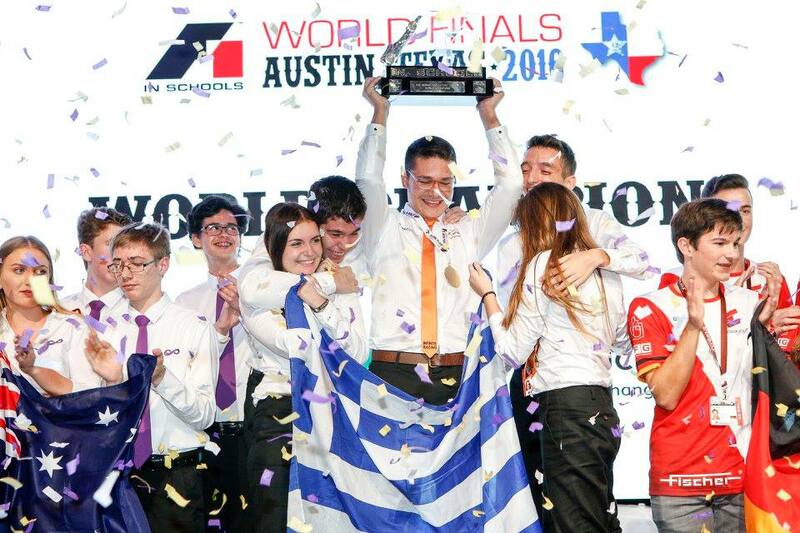 The educational program F1 in Schools is currently operational in over 30 different countries and more than 17.000 students are taking part. It was first introduced in the UK in 1999. The competition’s aim, and still is, to introduce younger people to science, technology and engineering in a more fun environment. 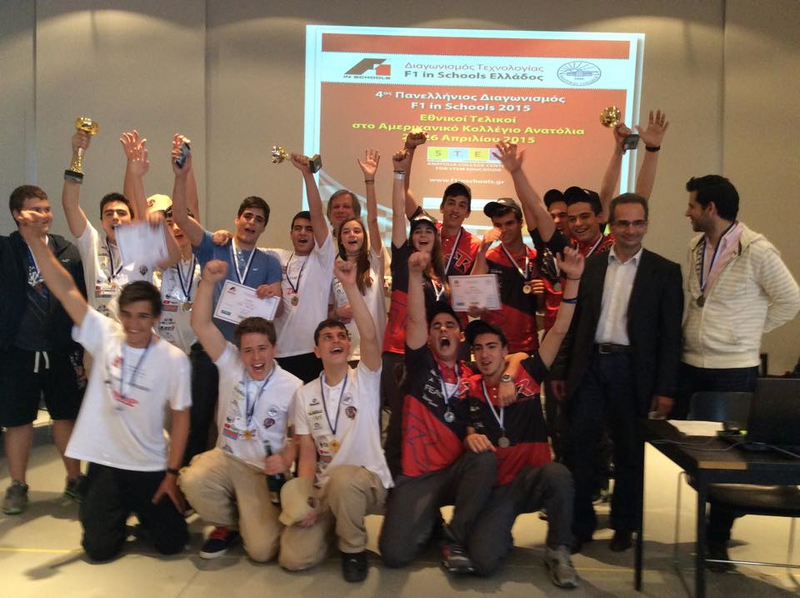 F1 in Schools is an international competition in which teams of 3 to 6 students aged 9 to 19 use CAD/CAM tools to collaborate, design, analyze, manufacture, test, and then race miniature gas powered balsa wood F1 cars. The cars are powered by CO2 cartridges and are attached to a track by a nylon wire. They are raced on a 24m long track with two lanes, to allow two cars to be raced simultaneously. Each team is required to produce a 20 page design portfolio as well as a pit display. The design portfolio is A3 size and should contain information about the team, their car design and manufacturing process, marketing techniques, project management, team work and team identity. Teams are given an area to set up a pit display which is judged alongside their design portfolio by a panel of judges. 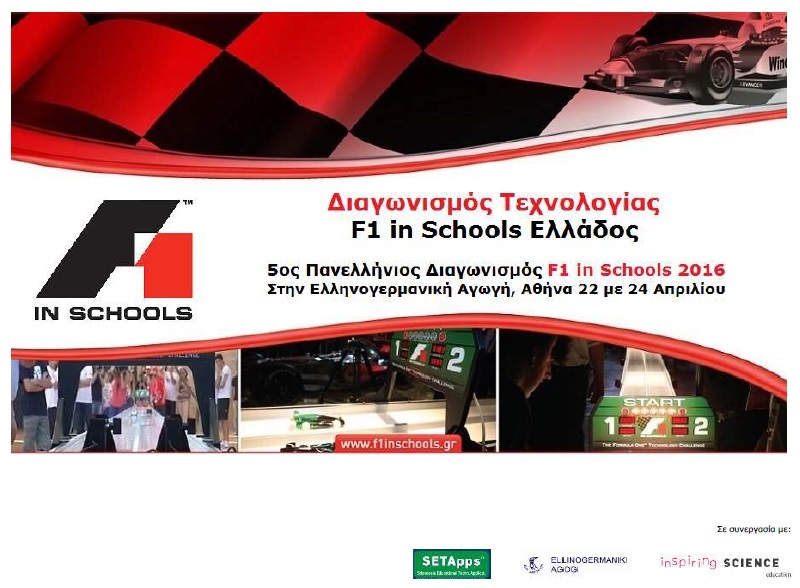 The great response of students from many countries creates suitable conditions for development of the F1 in Schools competition in Greece and Cyprus, in order to introduce new methods of experiential and creative learning, and mostly the innovation at the education. 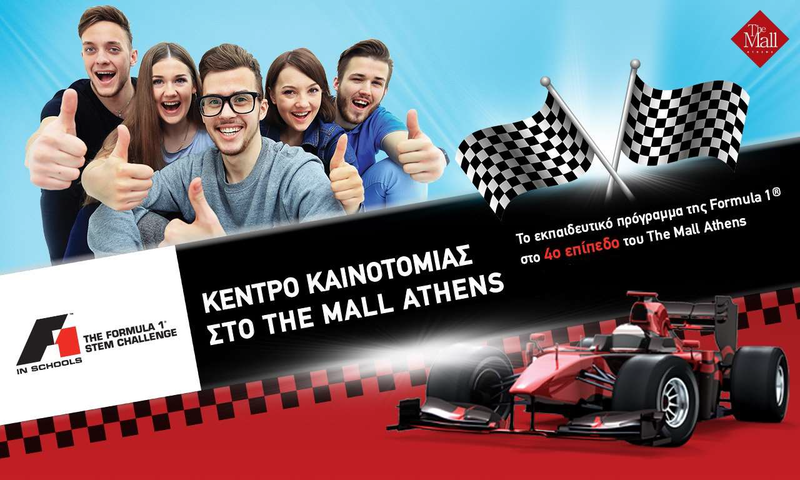 This educational program can significantly contribute to the career guidance of Greek and Cypriot students and also encourage their involvement to the field of Science and New Technologies. 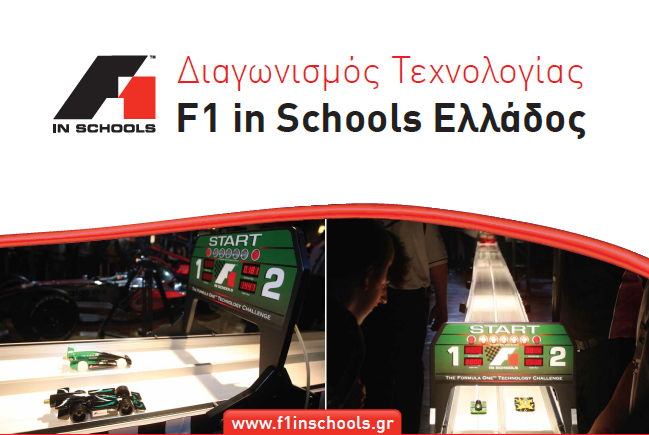 The F1 in Schools is operated in Greece and Cyprus by SETApps .